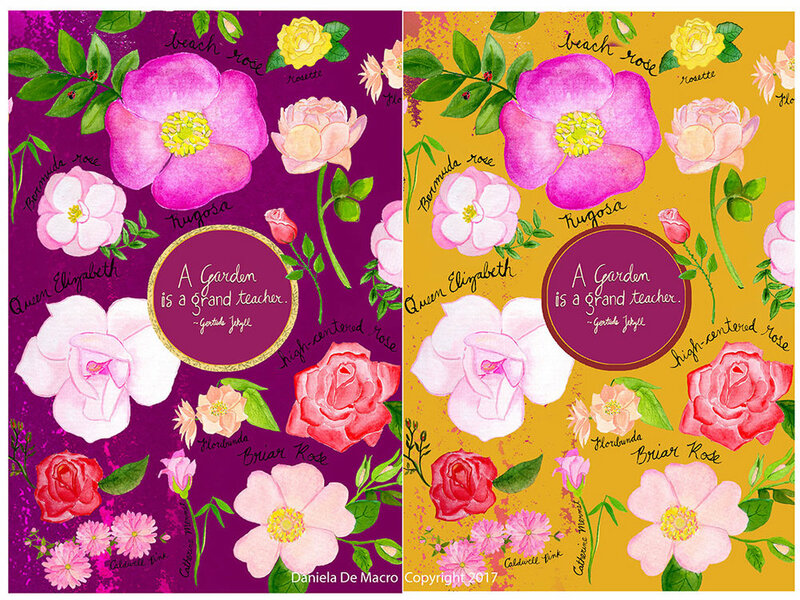 This month in my MATS Bootcamp course we were asked to design a journal cover with a Gertrude Jekyll quote. So I took the roses I painted from the mini assignment and used them to create a French inspired pattern because who doesn't like France?! The trend board further inspired me to make the color pallets vibrant with deep shades of magenta and burnt yellow. Originally I was going toward the softer tones with a punch of colour as shown below. So I just submitted this months assignment and I feel so good! It was really one of my favourite assignments so far as 1. it's something familiar to me and 2. I love journals! 3. I love painting flowers!! :D Hope you all have a wonderful week filled with art!